With a mission to deliver a learning experience that is exciting and engaging, Blyth Academy Burlington offers highly personalized and experiential high school summer programs in classes that average eight students. Choosing Blyth Academy Burlington for summer courses allows students to benefit from our small class sizes and personalized approach, giving them the opportunity to enhance their high school education with intensive, month-long courses in a wide array of subjects, including mathematics, science, English, and humanities. In the summer months, our students have plenty of opportunities to take part in experiential learning in the nearby Niagara escarpment including Crawford Lake and Rattlesnake Point. We are close to Bronte Provincial Park and walking distance to the Lake Ontario waterfront at Spencer Smith Park. 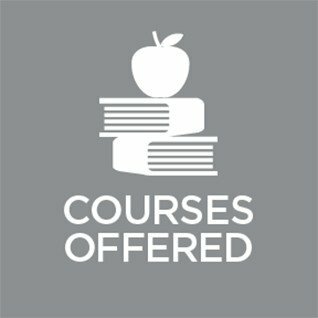 Blyth Academy offers 20 Grade 10–12 courses with start dates in July and August at each of our 11 campuses; Burlington, Downsview Park, Etobicoke, Lawrence Park, London, Mississauga, Ottawa, Thornhill, Waterloo, Whitby, and Yorkville. Blyth Academy Burlington’s Summer Foundations program is a non-credit course to prepare students entering grades 7-10 for the coming school year. This summer program is also offered at our Mississauga Cawthra Campus. Students will focus on developing strong numeracy and literacy skills so that they may be successful in high school. Students will also learn to develop proper study habits, time management skills, listening skills as well as oral communication skills. Students will also have opportunities to go on day trips, which will help students to develop strong relationships with their peers. The summer foundations program is geared at ensuring that students feel comfortable and prepared for their next school year. Registration for 2018/19 summer school will be made available soon.